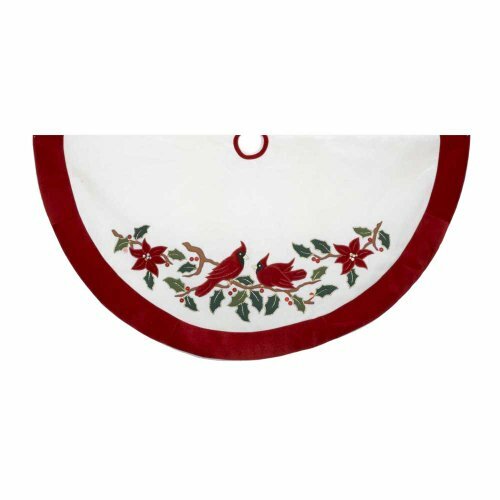 This Kurt Adler 48 Velvet Red and White with Cardinals Applique Tree skirt is a beautiful, festive way to add to your holiday decor. This 48 white design features an applique of two red cardinals resting on holly branches. Trimmed with a red border, this skirt will enliven any tree with Christmas cheer.